Schweitzer Fellows Alissa Curda and Liz Killien launched an outdoor education program for underserved youth. Two weeks ago, we interviewed 2008-09 New Hampshire-Vermont Schweitzer Fellow Alissa Curda about the rewards and challenges of developing an outdoor education program for underserved middle school students. Today, we talk with Curda’s partner in that endeavor — 2008-09 New Hampshire-Vermont Liz Killien. Why did you develop your particular project? When speaking with past Fellows about their projects, one thing that stood out to me was how the most successful projects were the ones that stemmed initially from the Fellows’ own experiences and passions. Their overwhelming enthusiasm for their projects was reflected in their willingness to commit the necessary time and energy to see them through to the outcomes they had envisioned. 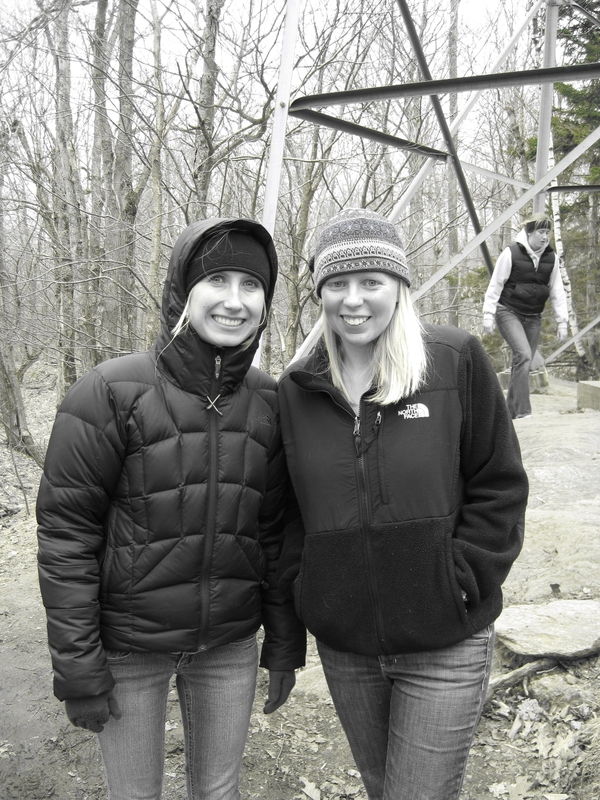 Alissa and I thus decided to draw upon our mutual interests of the outdoors and working with children and adolescents to develop Outdoor Odyssey, a outdoor activities and education program for “at-risk” middle school students in the Upper Valley region of New Hampshire and Vermont. Between the two of us we had the necessary experiences and skills to successfully lead sessions on canoeing, hiking, cross country skiing, healthy living, CPR, and more, as well as the desire to share our love of these activities with others who had never had a chance to experience them. What was the lasting impact of your project on the community it served? Our hope with our pilot year of Outdoor Odyssey was to not only have a positive impact on the initial group of students with whom we worked directly during the first year, but to also develop a program that could be sustainable and continue to expand for years to come. Our first 11 students were selected specifically by their teachers and school counselor for their potential to gain confidence, improve their teamwork, or find positive role models through a program such as ours, and we believe that we were able to reach each of these participants in some way by the end of the year. For some, participation in our program may have given them the necessary foundation and inspiration to really start to turn their lives around; for others, it may have simply been an outlet for frustrations and an escape from troubled homes for a few hours each week. Regardless, we hope that each of our participants was able to gain something over the course of the year that will help them as they continue to navigate their way through very complicated and often troubling lives and home environments. We also are excited to know that Outdoor Odyssey will be continuing next year in the capable hands of two more DMS [Dartmouth Medical School]students, and we hope that the model we developed last year can be expanded to reach more participants across the Upper Valley in the coming years. I think that the United States has reached a non-sustainable collision of progressively worsening overall health juxtaposed alongside increasing health care costs and diminishing access. Rates of preventable and manageable chronic illnesses such as heart disease and diabetes are skyrocketing at the same time as access to the primary care physicians that can most successfully manage these conditions and prevent debilitating and expensive complications is plummeting. The result is patients becoming sicker and sicker and finally presenting when they require health care services that are far more expensive and invasive than if they had been able to be appropriately managed from the start. The solution thus requires addressing two distinct but related problems: that of the underlying American lifestyle that forms the foundation for the development of these chronic conditions, and the degree of access Americans have to regular and reliable primary care in order to prevent the development and progression of these conditions. What was the most surprising element of your experience as a Schweitzer Fellow? I had hoped when we began our project that we would be able to teach our participants new skills and become positive role models for them, but I was surprised by how much I was in turn able to learn from them. Many of our participants came from very different backgrounds than we did and faced very different challenges, and thus were able to offer unique perspectives on their family life, their interactions with each other, and their hopes for the future that I had never fully considered. In many ways our 7th grade students had been forced to grow up far faster than most of their peers, and I learned a great deal about how that had changed their outlook on the world. As a future doctor it will be invaluable to have developed a fuller understanding of how individuals’ backgrounds and experiences have altered their beliefs and priorities in life, and these young adolescents have helped me appreciate this more fully. What does Albert Schweitzer’s legacy mean to you, and how have you carried it with you since your initial year as a Fellow drew to a close? I think the most lasting impact of Albert Schweitzer’s legacy on me is his commitment to incorporating service into people’s daily lives and routines, rather than seeing them as separate issues requiring distinct time frames and goals. We attempted to emulate this in Outdoor Odyssey by framing the project around our usual lives of spending time in the outdoors hiking, boating, and skiing, and adding in the component of service by bringing others along with us. In this way, service did not have to be a separate activity with an entirely different objective than how we would be spending our time otherwise. I hope that as medical school and our futures residencies progress and become more demanding, we will continue to be able to incorporate service and working with others into our daily lives.